Brent Morin was the co-star on the NBC live comedy series UNDATEABLE which just wrapped its third and final season. 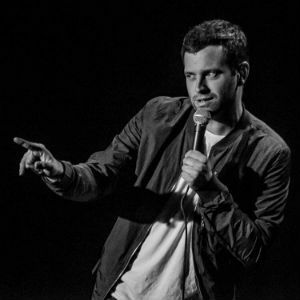 Most recently, Brent released his new Netflix special I’M BRENT MORIN which is streaming now! He has appeared on CHELSEA LATELY, CONAN, COMEDY CENTRAL, BROOKLYN 99, THE MCCARTHY’S and GROUND FLOOR. Only a year after his New Faces set at the Just for Laughs Comedy Festival in Montreal, Brent was named one of “Variety’s Top Ten Comics To Watch”. Currently he resides in Los Angeles.